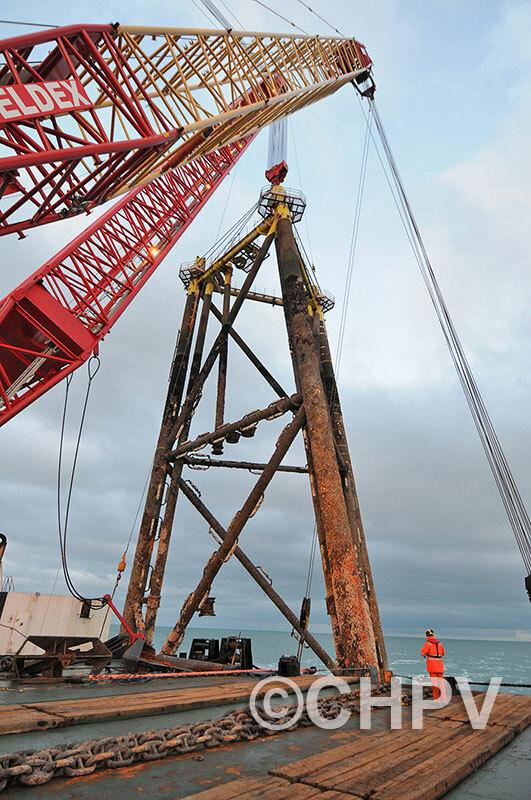 When Perenco wanted to decommission its Welland Platform, German consultants Overdick devised a flexible plan with lots of fall-back scenarios in the event of fraught weather conditions. In the event, the weather was actually as bad as they had feared. 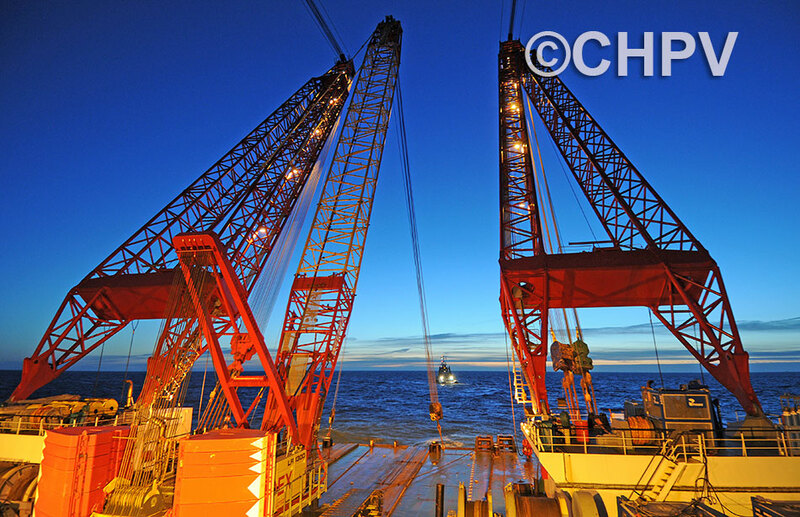 Proserv Offshore was contracted for the cutting operations. 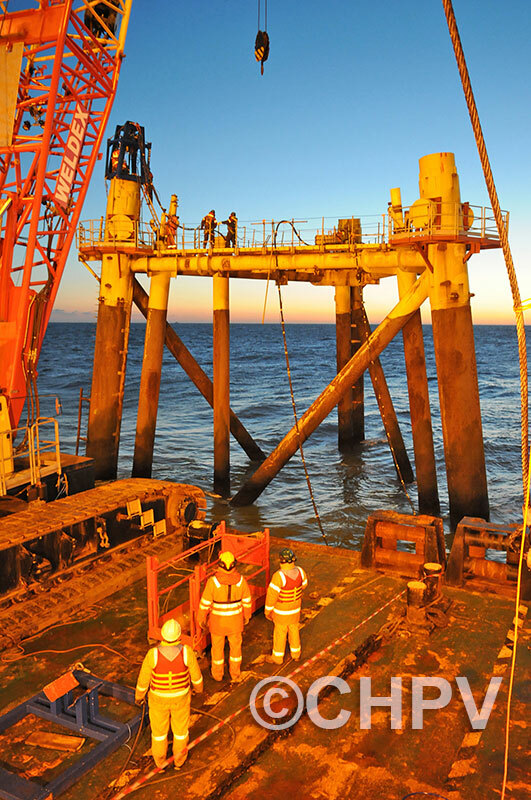 Its 15,000psi Jetcut system and IPC 20 internal pile cutting system were used to separate the topside from the substructure first and then to cut piles internally below the mudline. 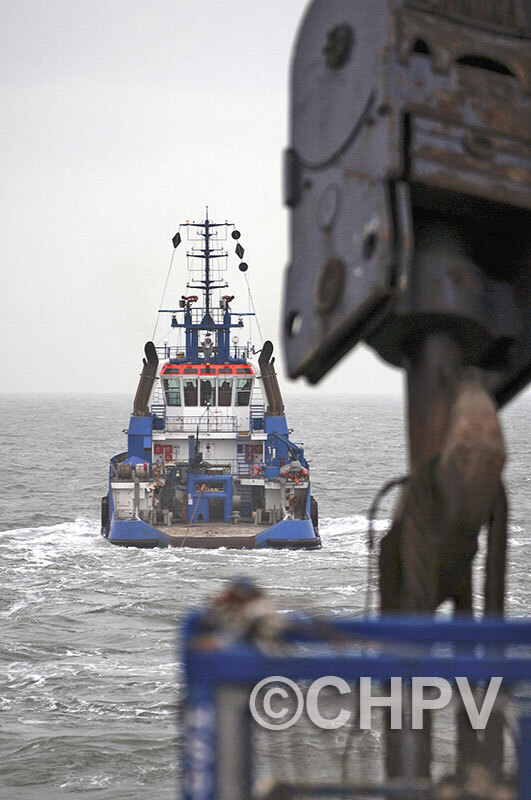 Operations had to be performed in such a way that the loose deck would remain stable and safe on the jacket even during a severe storm. 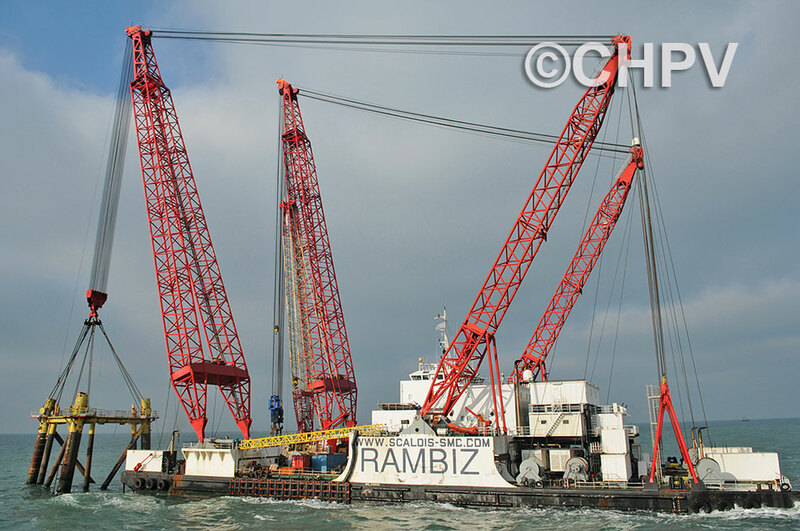 Scaldis mobilised their twin-crane, heavy-lift vessel Rambiz to remove the topsides and then the jacket (both of which represented over 1000t deadweight). 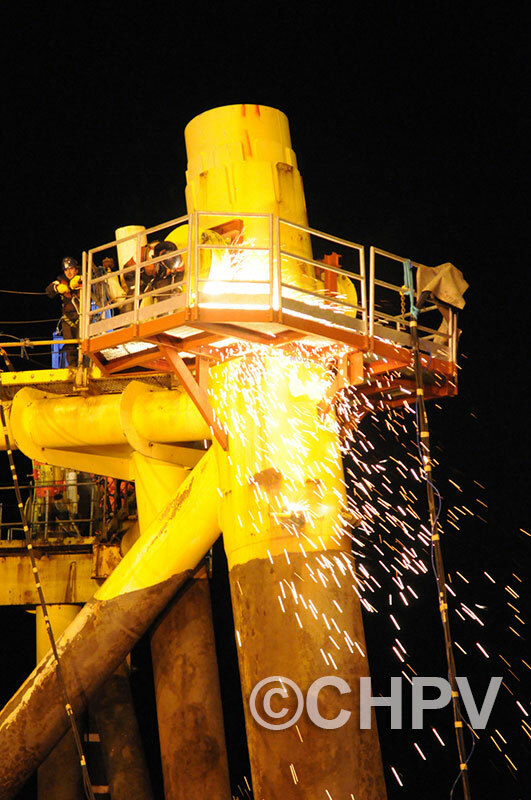 The topsides were confirmed to be structurally sound and strong enough to endure transport to West Africa, for reuse by Perenco's Cameroon subsidiary. 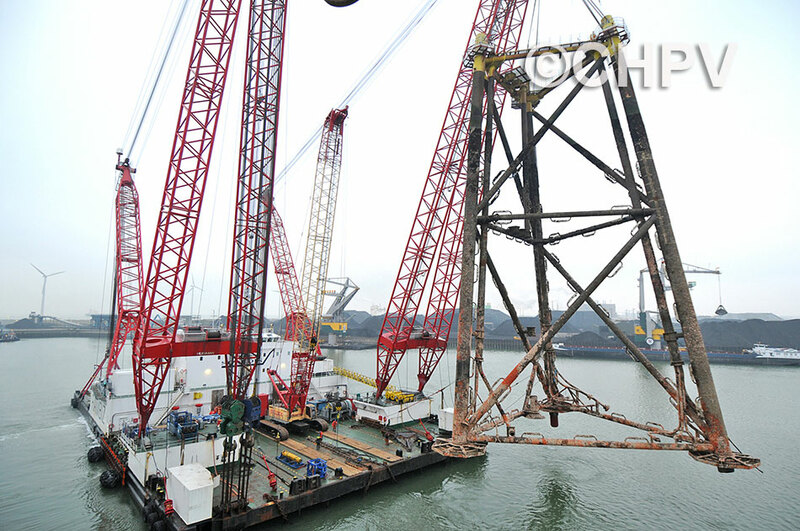 The jacket structure was taken to Flushing for reprocessing. 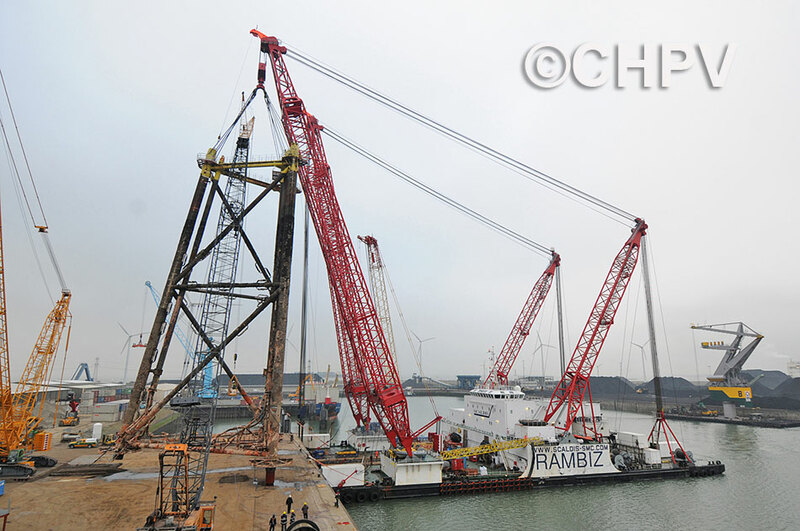 The team believe that the project set a new industry benchmark. 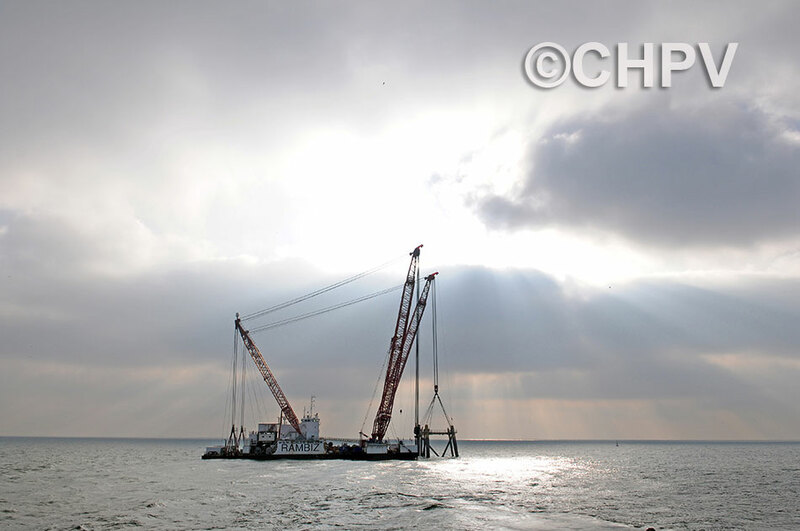 It was completed without incident and within budget, in the middle of the North Sea winter, meeting the highest environmental standards in terms of disposal/reuse. 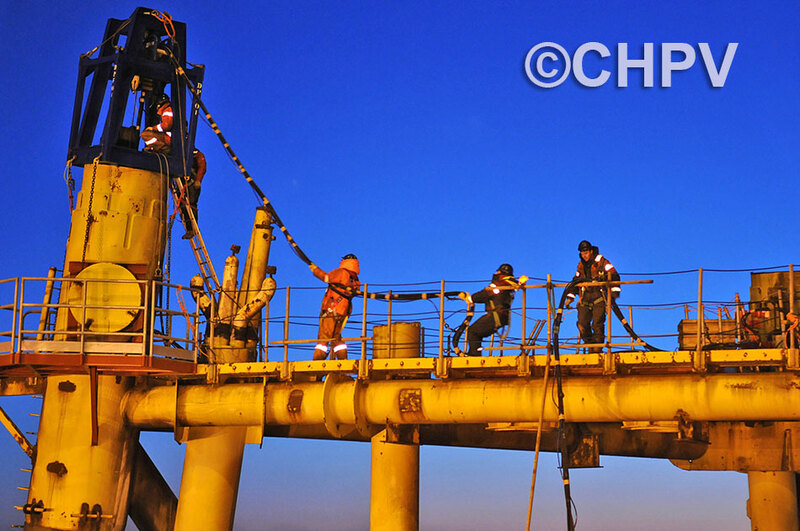 CHPV recorded their remarkable achievement.